Dr. Yang and the students of the YMAA Retreat Center's full-time kung fu training program instruct exercises for developing endurance and power, with a special section on qigong meditation. Dr. Yang, Jwing-Ming and the students of the YMAA Retreat Center's full-time kung fu training program instruct various body conditioning exercises. 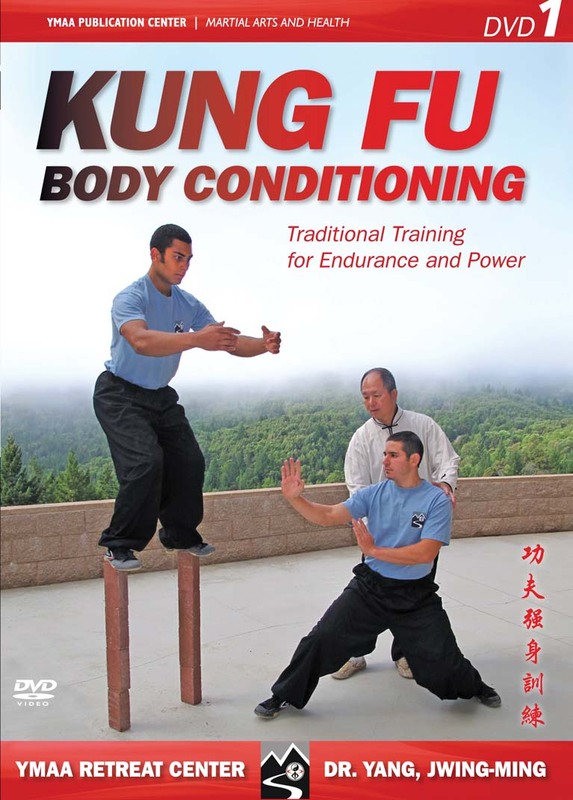 Body conditioning is the necessary first step in traditional kung fu training. This regimen is designed to strengthen the entire body's structure preparing it for the rigors of martial arts practice. These traditional body-conditioning methods will gradually strengthen your bones, joints, and muscles, allowing you to develop speed, root, and explosive power without injury. You will become more fit and flexible, you will improve the health of your spine and internal organs, and you will enhance your cardiovascular endurance. Body conditioning includes stretching, strength-training, tumbling drills, and outdoor training methods, such as running, rope climbing, and rock throwing. This total body workout is balanced with qigong meditation techniques that are essential for all martial arts styles. Dr. Yang, Jwing-Ming teaches the fundamentals of meditation, with details about posture, the qi (energy) circulatory system, and how to properly practice Qigong Meditation to increase your martial power. Includes one-on-one instruction by Dr. Yang of Embryonic Breathing, Laogong Breathing, Yongquan Breathing, Four Gates Breathing, and Martial Arts Grand Circulation.